Here in Europe, the Mobile World Congress, Barcelona Feb 2012, sponsored by the GSM Association, has a track devoted to mHealth (filter for Mobile Health), a day of demonstrations and a specific plan on embedded mobile medical functionality. Additionally, the FDA has come out with draft guidance and has promised final guidance regarding mobile medical apps. The European Commission has entered into an MOU with the HHS to work together on the regulatory aspects of healthcare. I wouldn’t be surprised if they come out with similar regulatory guidance regarding mHealth as that promulgated by the FDA. One might ask, what is mHealth? It has many different definitions and from a product offering perspective could range from texting information on a mobile phone to a provider and/or specifying a provider geographical location to a patient to bi-directional interaction with a medical device to/from an electronic medical record application via mobile phone or telecommunications frequencies (or the medical device could be embedded with the mobile telecommunication appliance). As with the traditional Healthcare industry, as one progresses up the interaction functionality chain, the design and interoperability gets more complex. Most of the latest news items I read about successful mHealth applications describe the ‘easier’ applications: texting, scheduling, location, etc. There is still growth and development in the marketplace for interactive medical-device integrated/connected products. Additionally, from a market perspective, most of the current product offerings are proprietary in nature and vertically integrated. Mobile telecommunication vendors are keenly interested in providing for the healthcare market. They are closely watching as well as working to influence the regulatory environment. From a provider perspective, this means adding another large player to the mix. You may already provide some internal mobile telecommunications support, but providing healthcare monitoring over that infrastructure changes the rules of the game. In addition, the mobile telecommunications market plays to the consumer market, which has faster turnaround times, and higher customer expectations. The consumer market expects the ability to smoothly transition service when changing a ‘product provider.’ In addition, with social media, the pressures are higher; witness the recent policy and product turnaround of Verizon to a charge for customers using a specific billing mechanism. The healthcare provider is not used to this type of oversight or pressure yet. The most widely used standards were protocol and telecommunication standards, but even with some of those standards, there were issues with product development and rol-lout. This has resulted in some technology system re-design as well increased expenditure on patient education. Moreover, the market has dealt some variables, by either not continuing distribution of a mobile phone model or changing the implementation of a medical device transport protocol. Additionally, intermittent wireless coverage and/or limited bandwidth for a teleconferencing function have led to design changes or required infrastructure upgrades. The market has a dearth of standards-based products for purchase. In Europe this is complicated by language requirements (most of the countries have healthcare systems which specify that products be purchased which have markings and documentation in their national language – this is for ease of use as well as cultural preservation goals). Another big issue is system ergonomics with respect to patient cohort. Mobile phones with small screens and small input interfaces (small mobile phone keyboards) don’t work well with more elderly patients. This project will be ongoing until 2013 and at the end the results are hoped to strengthen the hypothesis that well designed remote monitoring programs for chronic disease management is as or more effective than care delivered in the traditional manner. There should also be some interesting results from a technical perspective. The market is slowly moving towards providing more standards-based products, however, for the purposes of this project, timing did not allow more adoption of those types of products. Keep current on the mobile telecommunications arena both in product offerings and regulatory oversight. With the MDDS and the draft mobile medical apps guidance, the FDA has signaled they will be interested in regulating some aspects of healthcare delivery. If you as a healthcare provider adopt mHealth solutions, this will increase the complexity of providing and servicing/maintaining healthcare products from the provider. You control your enterprise, but as the information goes outside the enterprise to the shared infrastructures, you lose that control. Therefore, you may not be able to guarantee the types of performance or response that may be the norm within your enterprise. Agreements with the third party infrastructure entities will become paramount to ensure good performance and in the end good relationships with your customers: the patients and clinicians. Moreover, in light of the recent FDA guidance, understanding the infrastructure path of your mHealth solutions so that you meet any regulatory burden will become even more important as you embark outside of your enterprise. Consider specifying standards for data and communication across each interface (example: Continua Guidelines, IHE-PCD) in your acquisition documents. As with traditional medical device connectivity in your enterprise, the more you can decouple the medical device choice from the other parts of a connectivity solution, the more flexibility you have to make decisions based on the quality of the different parts of the system. In the future, this may avert having to redesign, augment and/or replace the whole system from medical device to electronic medical record application due to a technology refresh of one of the manufacturers in the system. Providers are under a lot of pressure to control healthcare costs in all parts of the world. As remote monitoring pilot results become more prevalent, it will be expected that providers adopt some of these mobile health solutions. Timing of your adoption will become very important as this is a fast moving train. The product cycles for mHealth can be 6 months to 1 year. This is much faster than your usual IT infrastructure refresh cycle which is already faster than your medical device/technology refresh cycle. Although many of the traditional medical device companies are migrating to a software based solution and a refresh cycle similar to that in the IT industry, they may not be as ready for the mHealth refresh frequency cycle. This may slow down in the US and Europe due to more regulatory oversight, however, the development outside those areas of the world does not have as much regulatory oversight, so some of the more interesting products may be developed outside of the geographical areas we’ve become accustomed to in the US and Europe. If you have a ‘wandering clinician’ or patient, they may be the one who introduces or demands a specific functionality to your enterprise from their wanderings. If your mHealth solution implementation is successful, be prepared to expand. It is estimated that 80% of healthcare costs are borne by 20% of the population and most of this is due to the management of chronic diseases. Remember, as with most endeavors, more is demanded of you once you succeed. So is 2012 the year of mHealth? Perhaps. If anything, it will be another exciting year for mobile technology and the convergence of the consumer and healthcare industries. It will be bumpy, but in the end, it should be better for the consumer who usually also happens to be the patient. Thanks, very interesting article, I think really it is necessary to use it the program because rational use of time and strengths of doctors – is very important! As someone involved in the space, I am rooting that your prediction that 2012 will be a breakout year for mobile health apps become true! The mobile phone is basically a gateway or ramp to the network for the data that the patient provides. The smartphone can have some other functionality built in, but the purpose of mhealth is to allow a measurement or communication to occur from and/or between geographically separate entities. What traditionally happened was a patient traveled to a clinic, a clinician controlled environment, had some physiological measurements taken, and then consulted with the clinician regarding those measurements and any diagnosis, prognosis or therapy that the clinician recommended. The smartphone provides the measurement capability, possibly an analysis capability of that measurement and then a communication portal to a larger database and/or system which would provide triage for clinical service based on the specific patient information both episodic and trended. 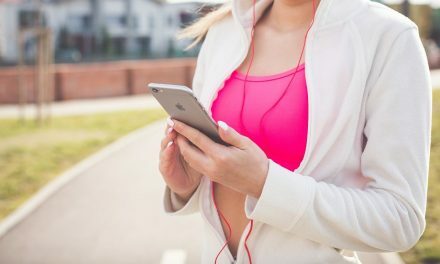 As for a video of how this works, I suggest searching in mHealth and mHealth applications as there are quite a few vendors who have these types of products available. In fact, in the health and wellness sector, most of the fitness trackers use smartphones as display and communication hubs. Also search on diabetes management products that use smartphones. I saw one phone a few years ago that had a glucose ‘strip’ reader built into the phone.